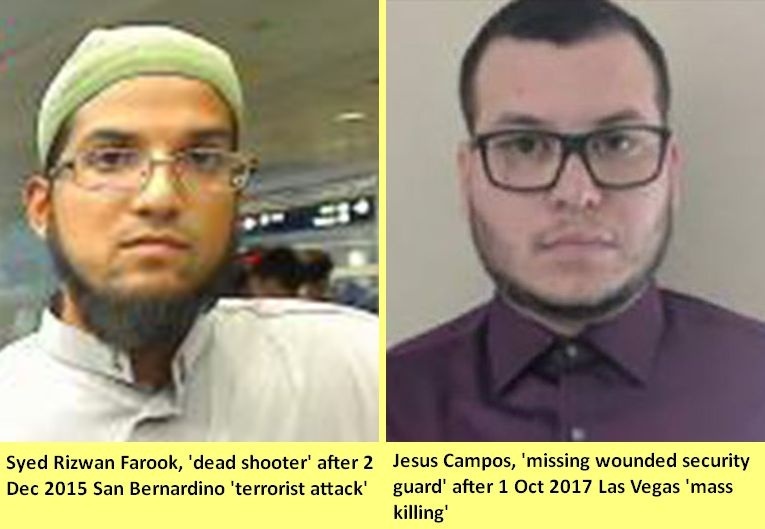 Oddly enough, after being shot in the leg and quickly released by doctors, Campos went underground. Mainstream media claims he missed five scheduled TV appearances and simply vanished. We have seen no CCTV footage of the guard we’re told took a bullet to the leg in the hallway of the Mandalay hotel, and even the paparazzi haven’t managed to capture a picture. For that matter we have seen no survelliance footage of anything related to this large scale event. Campos is seated second from the right. Next, we have a random photo of a party in “the boardroom” taken in 2013. The same pattern can be seen on the wall behind where the wounded Campos is comfortably seated. 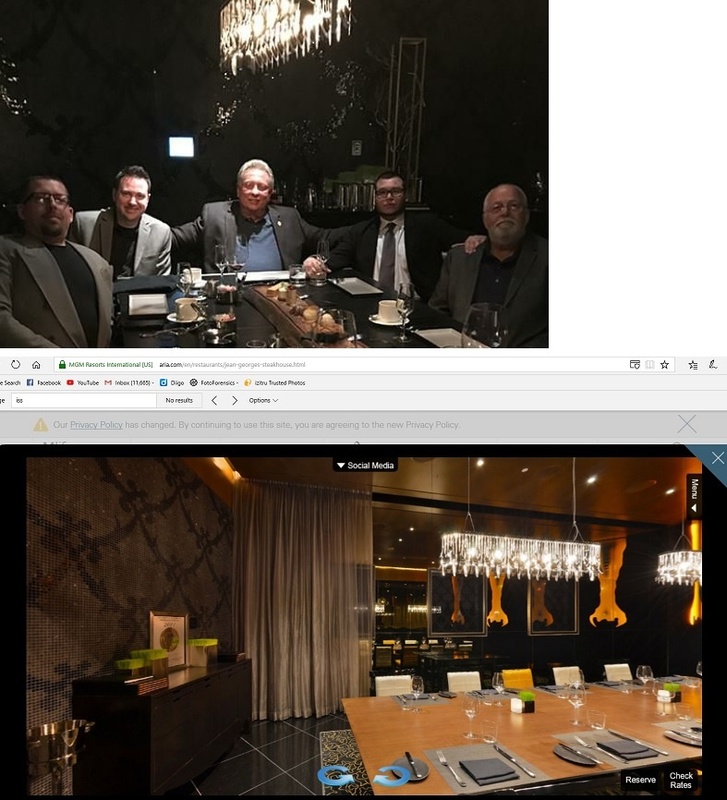 Also notice the same LCD panel on the wall in both photos as well as the chandeliers. Intimate post-wedding couple’s shoot on the Las Vegas Strip and restaurant reception at Aria by Taylored Photo Memories. There’s just one problem. 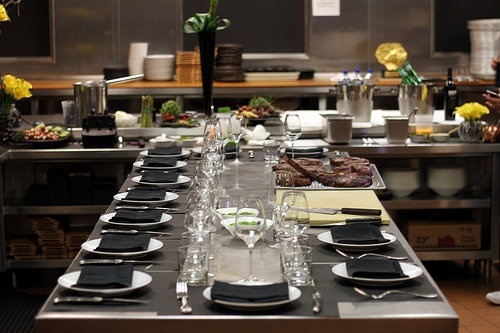 The entire Jean Georges Steakhouse underwent a full remodel that concluded in July 2017. Assuming that this July 14 article announcing the renovation and accompanying photos could be taken offline, we’ve taken a screen shot. Based on the photo below of the remodeled Chef’s Table room, Campos and his associates are utilizing a room that now has much lighter wall and table hues and colors. In the wedding photo the walls are also pitch black. The chandliers lights are on in all comparative photos. They are bright enough to well illuminate the forehead and hair of the man in the middle and to his right in the ceremony setting. The whole ceremony has a “Weekend at Bernie’s” quality to it. This Photoshopped image was also taken of the recently wounded Campos in a standing pose. The photo at the top of this post that shows Campos seated at a table with four men appears to show him as having a disproportionately small head. This has shades of Mason Wells, the Utah lad who survived his third terrorist attack at the Brussels airport. The incredulous story goes that Wells was also at the Boston Marathon during the bombing and in Paris during the Bataclan attack. UPDATE: MGM Resorts on Tuesday afternoon announced Campos is safe and wants people to respect his privacy. Las Vegas police confirmed he is not missing. MGM spokeswoman Debra DeShong said in statement that he will tell his story when he is ready “at a time and place of his choosing.” Apparently, that time and place will be the celebrity talk show “Ellen” on Wednesday afternoon, The Los Angeles Times reports. 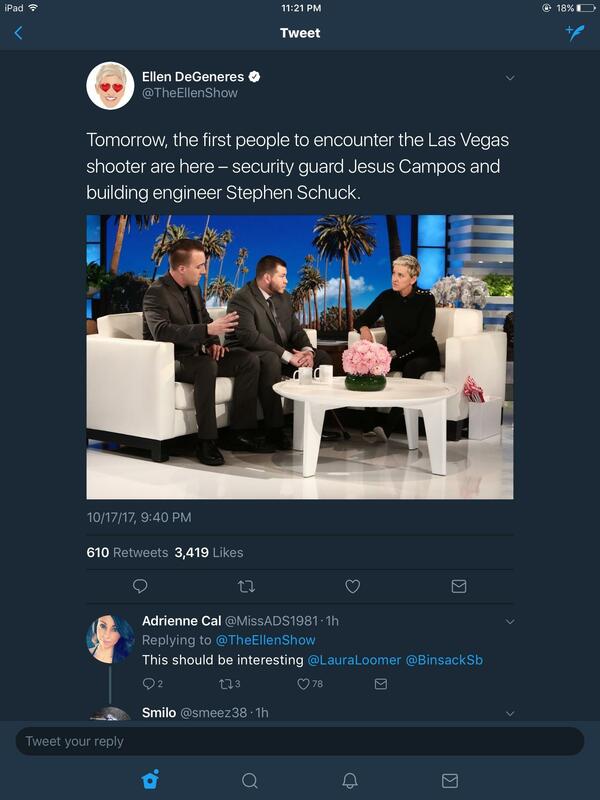 Show hostess Ellen DeGeneres tweeted a photo of Campos on the set Tuesday alongside maintenance engineer Stephen Schuck, who was also shot at by the gunman on the 32nd floor of the Mandalay Bay hotel, LAT reports. the hospital bed photo is CLEARLY photo shopped ;note the shadow left in on the top third of his head. We have a color change. It is not just lighting because in the wedding pictures the walls are also pitch black. The new photos also have a much lighter hued table as well. This does appear to be the correct room however so I will swap out the photo in the article. It’s the exact same pattern. It doesn’t seem logical they would spend a lot of money and effort to merely change the color with the exact same pattern. Here’s a photo. Shows two places in the building with the same pattern but different color. I’d say…. it’s possible it could be lighting that is causing the appearance of the color, camera settings, or something to do with the angle. Would be easier to determine if we actually physically there. The left side appears brown or gold-ish, the right side appears more black and / or grey. Click on the image to get a better view. Hideous interior decorating, and perplexing too. In the first image, the background is so dark… all that can be seen is the light from the really reflective bits. So… the actual color isn’t really discernable. The other picture with the wedding, as you pointed out, was 2013? 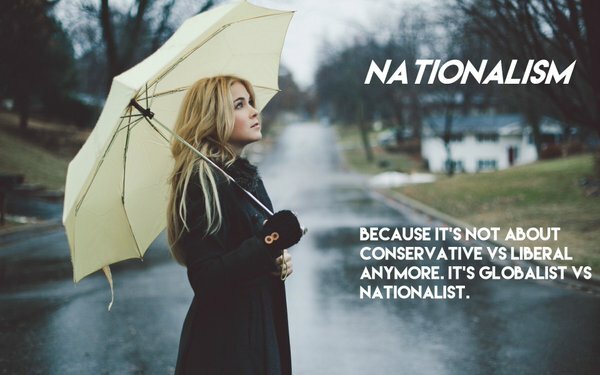 So if you’re right, it only shows the wall was black in 2013. The current “award” picture is taken later. As I said, the color isn’t really discernable because it’s too dark. So.. the wedding picture would only SEEM to indicate, that the wall seems black in the 2013 photo and looks like a different color in the current virtual tour image. That could be due to various reasons, I’d think. Given the virtual photo showing a nicely lit, much less forboding room, the question is : why is the background so dark? It’s not the chandlier as it looks lit up. In fact you can see reflextive light off the dark wall. What is reflecting is a question, because the current flat surface is the same non-relective tile. There is no raised motif. Additionally the LHD panels aren’t the same size between the virtual and the posed scene. We see a square versus a rectangle. There is some type of stand on the table and it is tilted over which strikes me as a little off. In fact much about the photo seems off to me. My conclusion: we are looking at a photoshopped CGI image of the award ceremony. “Jesus Campos” and sidekick Stephan Shuck to appear Wednesday on Ellen DeGeneres. Fast growing beard for only one week. Ha Ha….will the sheep ever get it? More signs of a fake cut out persona. Mr. Campos shares a social security number with one Jesus Quintero. I don’t think Laura Loomer is aksing the right question though. Wish I could see the shape of Campos’ ear. Anybody seen any side-view photos of him? There are allusions to a “Chef’s Table” at this establishment. I immediately thought his head looked really small.